Yachting Malta is a public private partnership between the Government of Malta and the Royal Malta Yacht Club. Launched in April 2015, the organisation’s primary role is to identify and attract high profile yachting events to the Maltese Islands, including sailing regattas, power racing, boat shows, yachting awards & conferences. 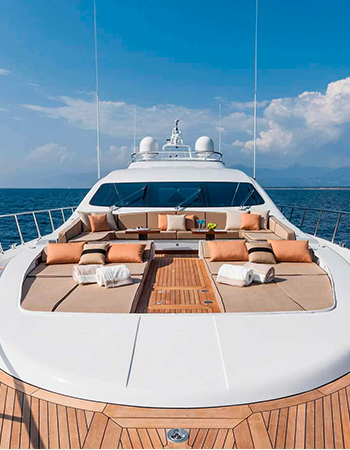 Yachting Malta also aims to enhance the quality and growth of already established events. Another role is to foster and promote yachting and associated international activities with an emphasis on the young. This includes education and training in the fundamentals of sailing, powerboat racing and water safety. The organisation also serves as a consultative voice to the relevant authorities vis a vis infrastructural yachting projects such as new breakwaters, yacht services & marinas. One of Yachting Malta’s goals is to support the increase the range and volume of berthing facilities and yacht services in Malta and Gozo. Another crucial focus for Yachting Malta is the promotion of Malta as a yachting destination for super yachts. The aim is to make Malta a better cruising ground and wintering base for this 24m+ luxury and niche industry. During the first year of operation Yachting Malta has consulted and listened carefully to the key players of the industry and the sports sector. As a result of this consultation Yachting Malta has developed a clear strategy with 120 identified initiatives related to the sports sector, leisure yachting and super yachts. The initiatives include proposals related to industry planning, policy, tax incentives, legislative updates and enforcement matters. Once put into practice these initiatives will place Malta in a prominent position on the international yachting map. Yachting Malta’s overall aim is to promote Malta’s leading name and tradition as a yachting destination in the Mediterranean. Whilst maximising Malta’s yachting potential, the organisation will aim to achieve a mark-up in overall quality of the Maltese yachting product. Ensuring excellence and competitiveness throughout the sector is Yachting Malta’s consistent target. "Yachting Malta (YM) has been created to promote Malta as a yacht racing, leisure cruising & super yacht destination. YM’s role is also to identify & attract high profile yachting events to the Maltese Islands including regattas, boat shows, awards, conferences and other activities related to yachting."